Rivaled only by the Dallas Cowboys, the Pittsburgh Steelers feature one of the most widespread and loyal fan bases in the NFL. Waving their Terrible Towels, supporters of the Steelers can be found almost anywhere, which means there is a good chance you know at least one. This knowledge can be a huge benefit when the time comes for birthday or holiday shopping and the following guide is intended to make that much easier with 20 gift suggestions for fans and collectors of the Pittsburgh Steelers. 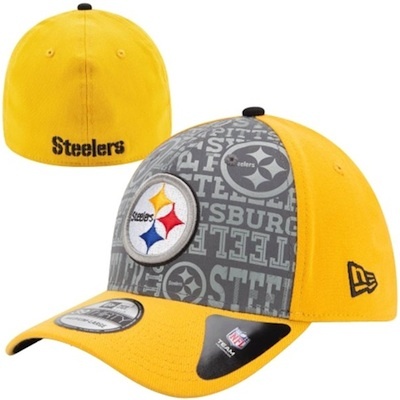 Although this guide aims to provide suggestions to help shopping for Steelers apparel and memorabilia, those looking for more detailed info should check out our comprehensive Pittsburgh Steelers Collecting Guide. 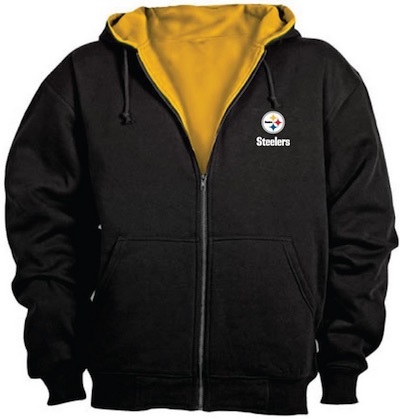 The list below includes 20 gift ideas that are suited for a fan or collector of the Pittsburgh Steelers. Both broad suggestions and specific pieces are included and the variety of price points should accommodate nearly all budgets. A Hall of Fame defensive back who spent time with several teams, Rod Woodson is a Steelers fan favorite based on his ten seasons with the team. A signed photo offers an especially great gift for a fan who was an active supporter in the 1990s. 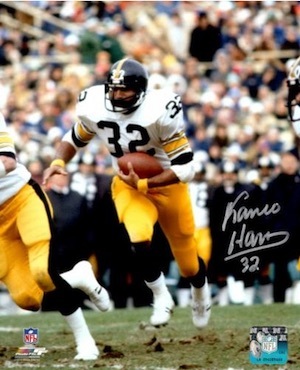 Most notable for his part in "The Immaculate Reception," Franco Harris remains a popular player with fans of the team. Autographed photos can be found with ease, but that has not hurt values too much. Part of the celebrated Steelers 1970s defense, Jack Ham is considered to be one of the top outside linebackers in league history. 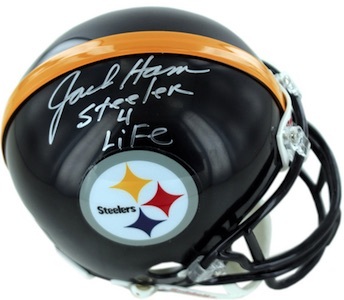 Ham played his entire career with the Steelers and a signed helmet is a nice reminder of the dominance of the Steelers during his playing days. The other Jack on the dominant 1970s team, Jack Lambert is also a linebacker that spent his entire career with the Steelers. 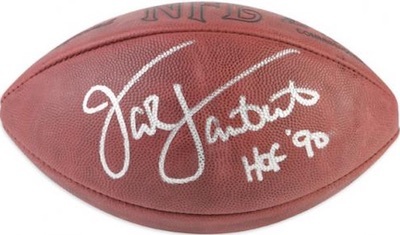 This signed football offers an appealing present for any fan of the team. A teammate of Jack Ham Jack Lambert, "Mean Joe" Greene was a dominant defensive tackle for the Steelers and the cornerstone of the defense. 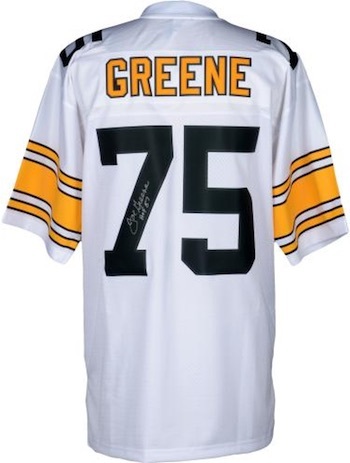 A signed jersey would make a terrific premium gift that can be proudly displayed in a man cave. 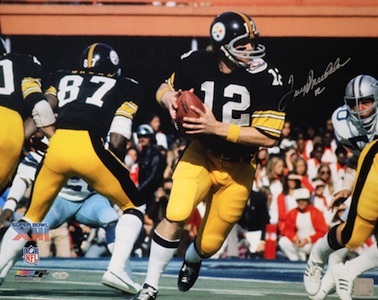 Arguably the top overall player for fans of the Steelers, Terry Bradshaw was the team's quarterback during four Super Bowl wins and one of the top QBs in NFL history. Bradshaw maintains his popularity thanks to TV and movie appearances and a signed photo will make an ideal high-end gift. 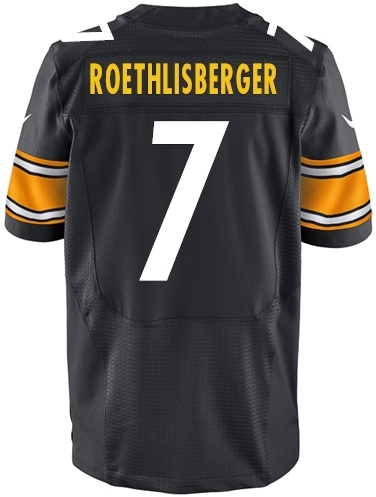 The current star quarterback for Pittsburgh, Ben Roethlisberger has endeared himself to Steeler Nation based on his gritty play and two Super Bowl wins. Signed photos are a popular options for fans and collectors of the team. One of the newer stars on the team, Le'Veon Bell has shown he can be an elite back in the league and the Steelers will look to big things from the young back. This framed college includes several images and a piece of game-used football. View more collages for the Steelers here. 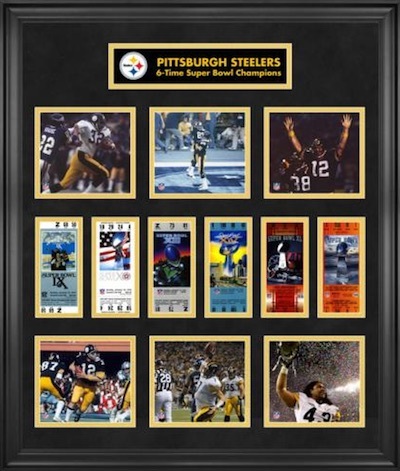 The Pittsburgh Steelers have the most Super Bowl wins in NFL history with six and each title is reflected on the collage below with a replica ticket and game photo. The refined look and team significance make it a great gift option. Super Bowl XL was the 40th anniversary of the Super Bowl and the site of Steelers' win over the Seattle Seahawks in 2006. 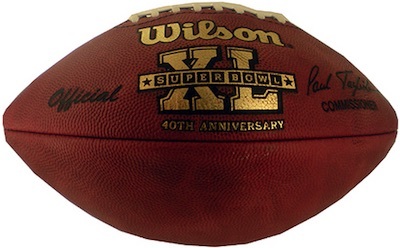 This football is an official game model from the big game. 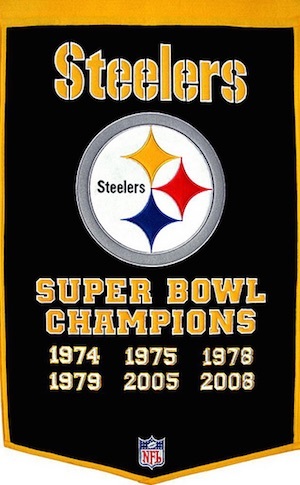 A Pittsburgh Steelers banner is a classic way to celebrate the team in almost any setting. The wool banner documents each Super Bowl win from the franchise's history and features a quality look. 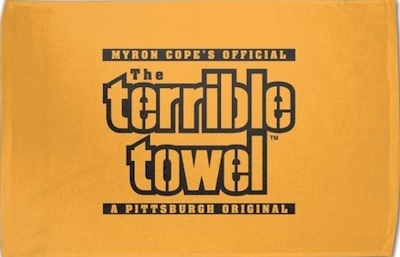 Few things have come to represent Steeler Nation more than the terrible towels created by Myron Cope. These simple towels make a great budget gift for a fan or collector. Football cards are a popular option for fans, but they are not as simple to buy because they are so specific. 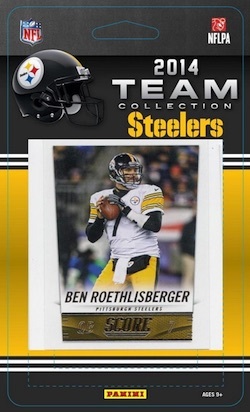 One option we recommend for budget gifts or stocking stuffers is Pittsburgh Steelers team sets. Some are sealed and some are hand-collated, but the result is the same. Make sure to verify the year of the card and the players included to make sure you are getting what you expect. 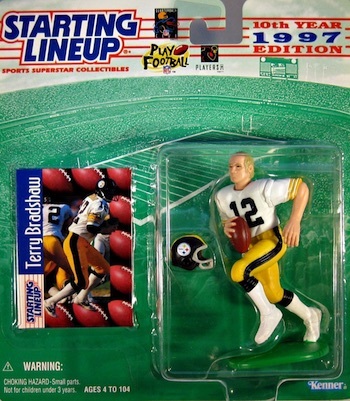 Whether shopping for a child or an adult, Pittsburgh Steelers figures and bobbleheads can be a great gift. Several different brands offer a variety of options and many players can be found from the history of the franchise. Check out specific figures on eBay using the links below. There are a good variety of different Pittsburgh Steelers team fatheads. In addition to team logo versions, players are some of the top Fatheads and three of the most popular Steelers are noted below. 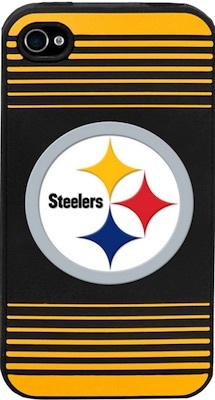 Smartphones are the new norm and can make for an easy and inexpensive gift for a Pittsburgh Steelers fan. Just make sure to verify the exact make and model before you buy. We have included direct links to Amazon below for the most popular phone models. 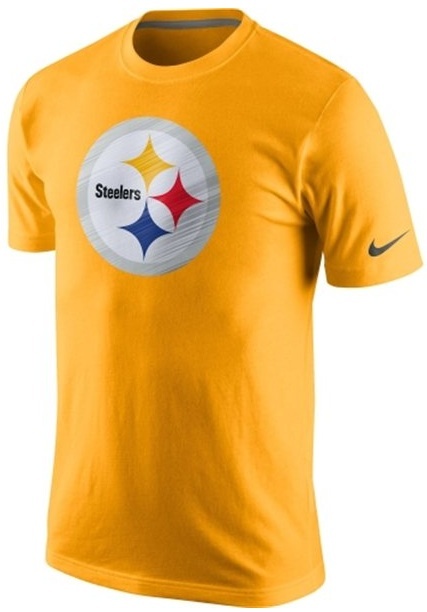 Jerseys remain the most common way for fans to display their love of the Pittsburgh Steelers. Replica versions offer cheaper prices and fans can also have them customized for added appeal. If you are overwhelmed by the many versions, check our detailed NFL jersey guide here. NIKE TN PITTSBURGH STEELERS FOOTBALL POSTER CAP JERSEY NEON LIGHT SIGN 10"X10"
Pittsburgh Steelers JARVIS JONES signed autographed football full size pylon!